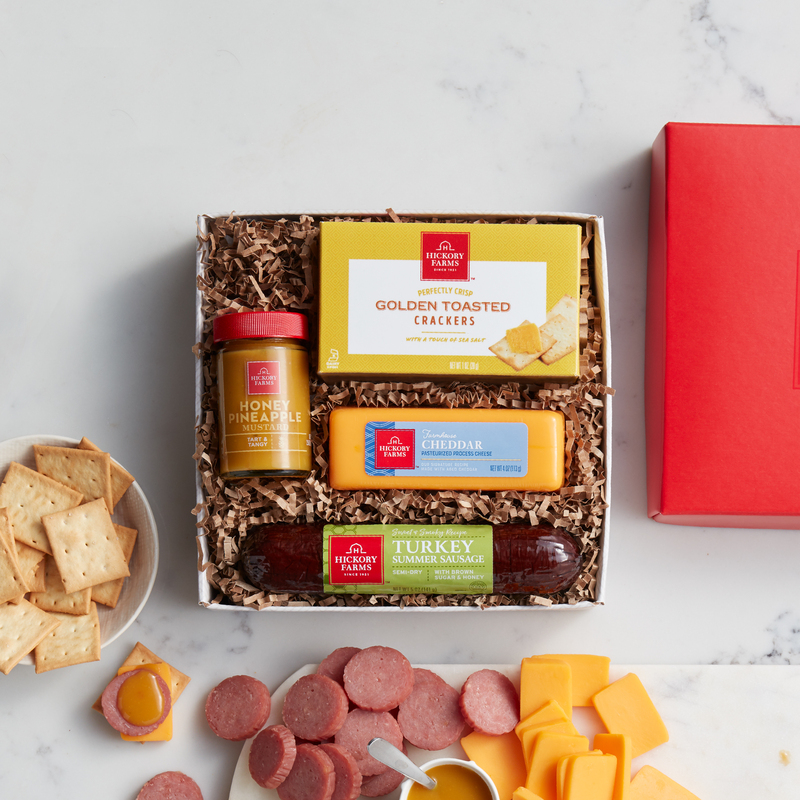 Our Sweet & Smoky Turkey Summer Sausage tastes delicious when accompanied by our famous Farmhouse Cheddar cheese and sweet and tangy Honey Pineapple Mustard. Stacked up on a crispy Golden Toasted Cracker, these bites are the perfect savory snack. 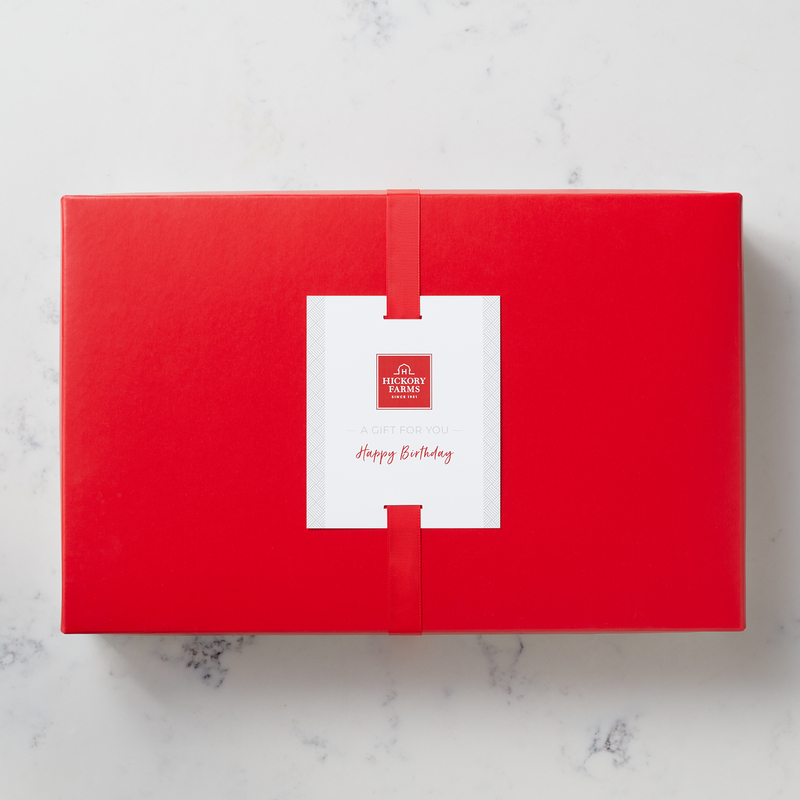 Makes a great gift for the fan of turkey summer sausage on your list or a unique addition to any meat and cheese spread at your next party!